The Shepherd’s Pen is simply a journal venue to share biblical understandings of the shepherding paradigm (Shepherd to Shepherd), church and ministry reflections (Musings from a Shepherd's Pen), and philosophical forays (Something to Chew On), all from a shepherd’s perspective. May it be a comfort, encouragement, and reminder that you are not alone in your journey. Kelly is an ordained minister with the Evangelical Free Church of America. He completed his PhD in Systematic Theology at South African Theological Seminary in 2015, and he holds an MA in Christian Apologetics from Biola University. 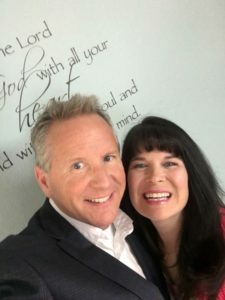 Kelly and his wife Suzanne live in Bishop, California where he is privileged to serve as the pastor to Bishop Creek Community Church.